Bet365 Casino is known as one of the top online casinos in the world, with huge numbers of players heading to the site every single day to enjoy the many different games on offer. In order to keep these players happy, they have to continually release new games, and that’s exactly what they’ve done recently, adding five new titles to their selection of online slots. All five of the new slots found at Bet365 Casino are available to play on both desktop and mobile devices, meaning that absolutely everyone will be able to enjoy playing them. All of them are also really enjoyable to play, although, as you’ll see below, there is one that stands head and shoulders above the rest of them. Motorhead is the biggest – and the best – of all the slots added to the line-up at Bet365. It is based on the band of the same name, and is the final instalment in their hugely popular NetEnt Rocks trilogy, which also contains Guns N’ Roses and Jimi Hendrix. Featuring music from the band and loads of recognisable symbols, this is a slot that any fan of Motorhead will want to play as soon as possible. What’s more, Motorhead is a really innovative slot, with unusually shaped reels and some fantastic bonuses, including the brilliant mystery reels. If you play any of the new slots at Bet365, make sure it’s Motorhead! The other four new releases at Bet365 Casino all come from Thunderkick, and the first of them is Sunset Delight. It’s a simple slot, but this doesn’t mean that it’s a bad one, as some players don’t want to have to think about loads of features when they play, instead preferring to simply concentrate on what’s important – the prizes. Sunset Delight has a beach theme and offers bonus symbols and Free spins. With winter on its way, this slot could provide the perfect reminder of the hot summer sun. Spectra is a slot full of colors, and features a futuristic theme. Visually, it is an absolutely stunning online slot, however it isn’t just great because of the visuals – the bonus features are also loads of fun and add excitement to every spin. The wild nudges are the best feature, however the wild respins and the sticky wilds should also help to increase winnings significantly. Whether you like this slot will really depend on whether you’re a fan of futuristic themes though. Frog Grog uses a common slot theme, as it takes you into the laboratory of a mad professor. You’ll find a number of positions on the reels, and the reels themselves are made to look like shelves, which really adds to the look and feel of this game. As with most Thunderkick games, the bonuses are pretty good, and the multiplier can really lead to some large prizes. This slot also features Dropping Symbols, meaning that winning symbols are replaced after a prize is paid, meaning that more wins can be accrued per spin. Each successful round of dropped symbols will also see the multiplier increase. As the name suggests, this slot revolves around the famous Russian dolls. It might not sound like the most interesting theme to start with, however a few spins of the reels will reveal that this is actually a really enjoyable slot. It has loads of features, which always adds to the excitement at any slot, plus the prizes can be really large. Spinning in a wild symbol on the third reel will also lead to a mystery bonus, which is another great feature. Grab a Great Bet365 Casino Bonus Today! If you like the idea of playing one of these fantastic new slots at Bet365 Casino, then why not head there and sign up today? If you aren’t sure whether Bet365 Casino is the right site for you though, you can take a read through our Bet365 Casino review to find out about the important aspects of this site, including the range of games and the customer service. If you do choose to sign up with Bet365, you’ll be able to take advantage of a fantastic Welcome Bonus, which adds 100% extra to your first deposit at the site. This means that you’ll have twice the money available to spend at some of the very best online slots around. If you’re concerned about whether you’ll like the selection of slots at Bet365 Casino, you can play many of them for free on this site. We’ve got a selection of great games from names such as Microgaming and NetEnt for you to try out, and many of these games can then be played for real money at Bet365. What’s more, all of the games on this site can be played via your browser, so you’ll never need to download anything to your desktop. Start playing today! Bet365 Casino is one of the largest sportsbooks in the world, but its casino is equally as popular with players. 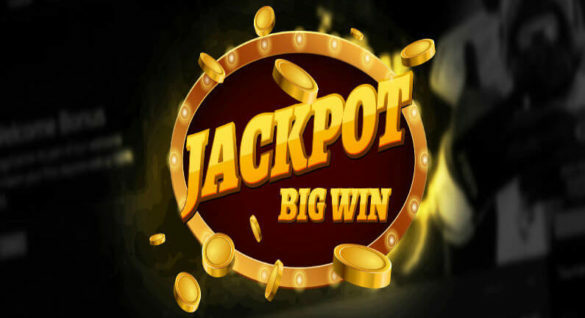 There are many good reasons for this, including the impressive array of games and fantastic site design, however it’s the bonuses that are the real star of this online casino, particularly the new player bonus, which can be worth up to €100. Claim it today!